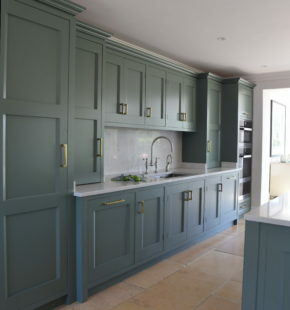 This client returned to Guild Anderson for a second time as they had decided to move back towards London. 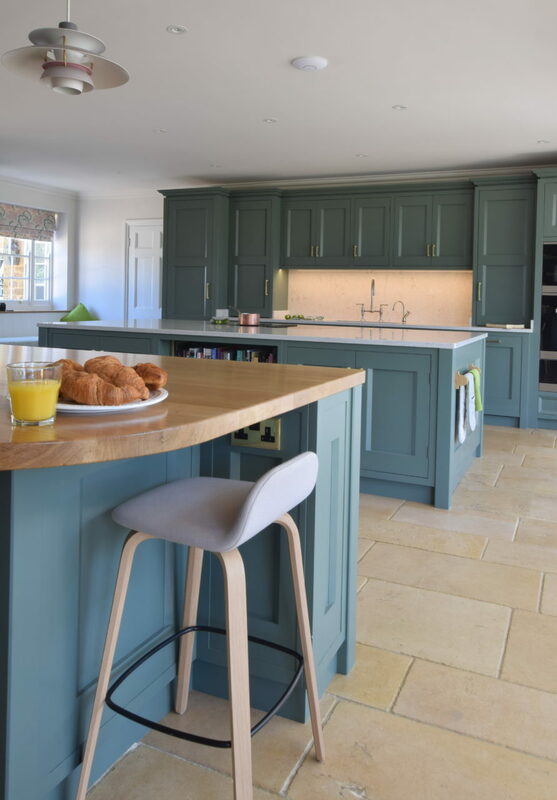 It is always a pleasure to work on a clients next kitchen as we have any understanding of their likes and needs and the client comes to know of what to expect from a Guild Anderson kitchen. 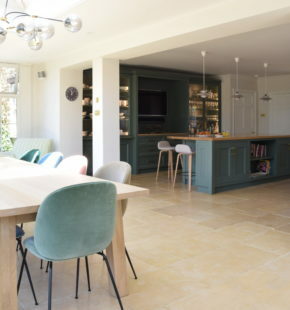 As in their previous home this kitchen was in a large space and Nick designed for them two islands; the main one for cooking and prepping has a flush mounted Miele hob set into a Ceaserstone composite Quartz Bianco, a composite which is quite indestructible but really looks the part, the secondary island with it’s large oiled oak worktop is a family space, it’s there to eat breakfast at before school and for catching up with the news on the easily located TV, it is also within close proximity to cabinetry housing all the crockery and plates. 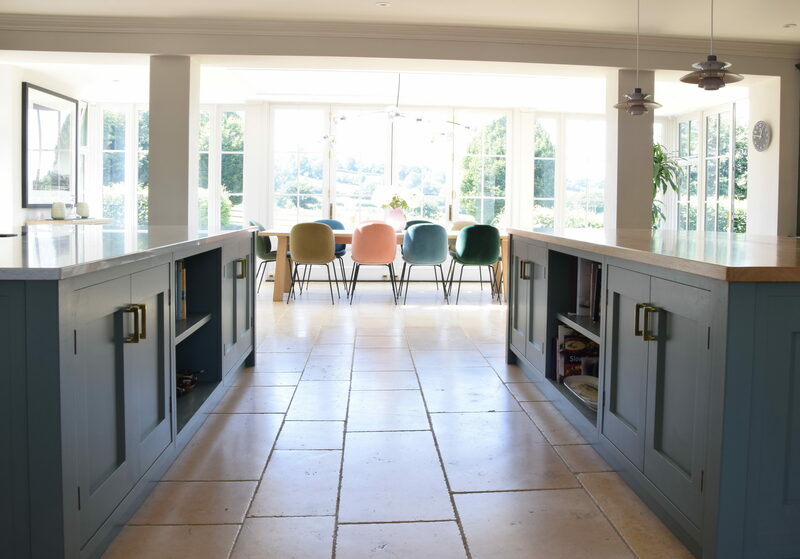 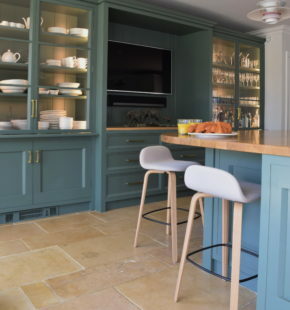 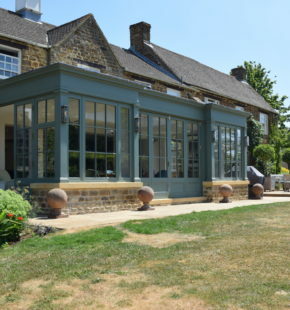 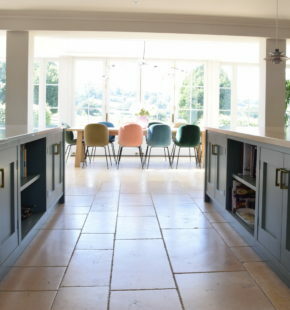 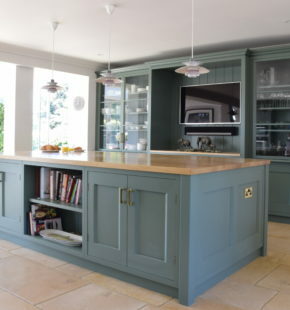 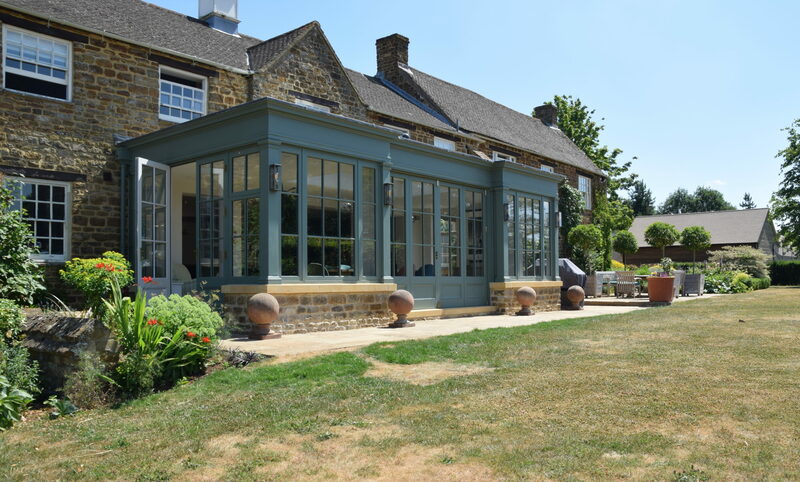 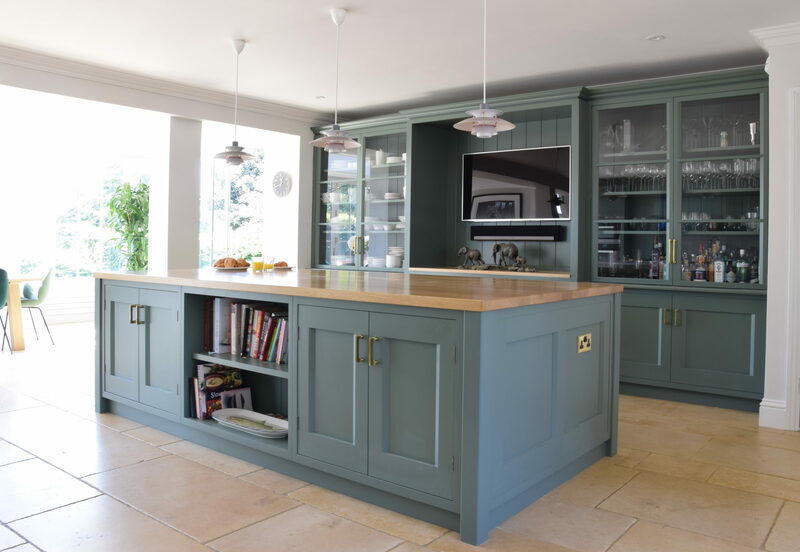 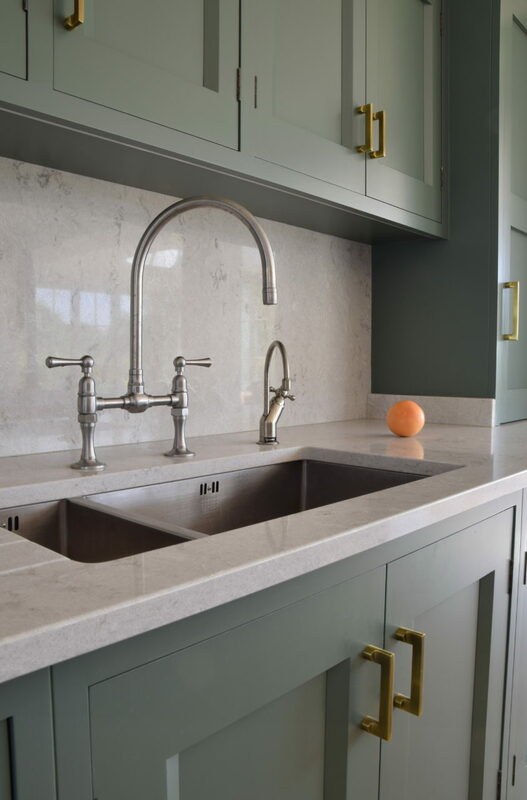 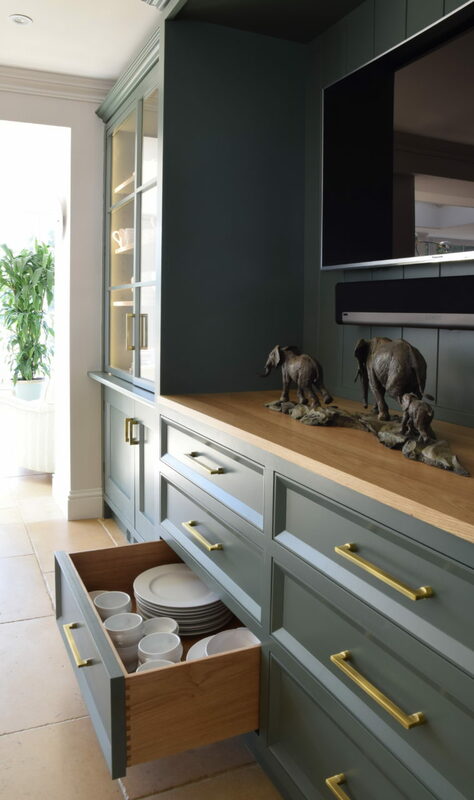 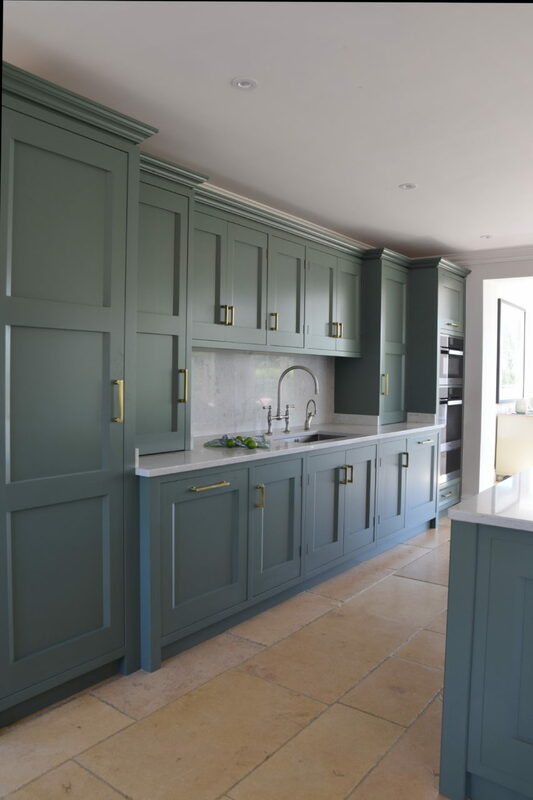 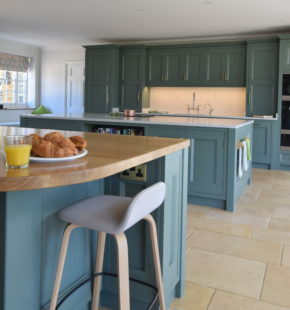 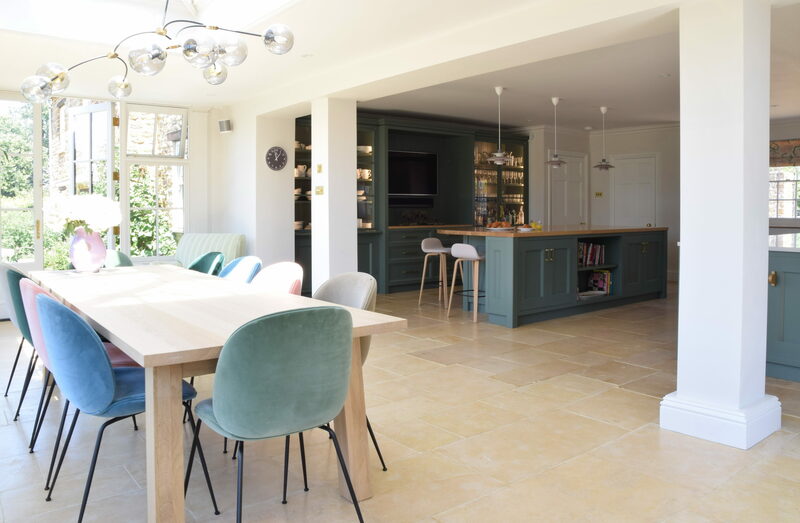 All cabinetry is designed in our Viewfield design and the entire kitchen has been painted in Farrow & Ball Green Smoke, providing an up to date look in this characterful building, without overstepping too much into the modern. 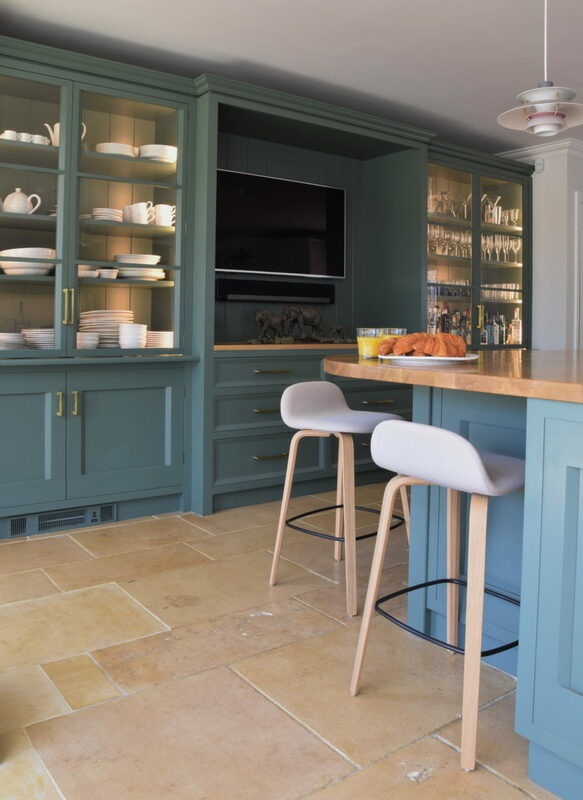 With three hungry children to feed the clients opted for a new Mastercool fridge by Miele which sits squarely between two window seats and provides vast fridge space that is perfectly lit and maintained at a temperature controlled level for each shelf. 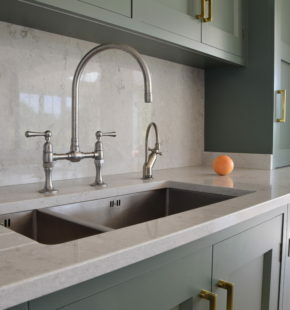 The only thing it doesn’t do is clean itself.